Not even King Creosote's mother owns everything in his discography, as it's filled with dozens of rare Fence Collective releases and CD-Rs. But if this isn't the best album he's ever done, may we speak on behalf of the whole world in asking kindly for a copy of the usurper? Recorded in a real studio, unusually for the King, with The Earlies as backing band, KC Rules OK justifies its title in pretty much every song. "It's not that I don't care for you," he beautifully laments in The Vice-Like Gist Of It. "It's just that I'm a cat." Genius. 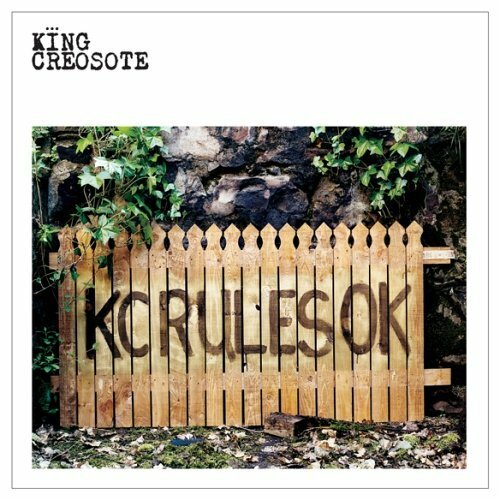 "Well, for me KC Rules OK was basically the first chance I got to do a proper album as King Creosote. I'm very proud of the titles I've put out through Fence but anyone can put their own music out on their own label. Yes, there are a few things you need to do to get there, but you are your own yardstick for quality. At the time it felt like a bit of daunting step. It was basically me going into a studio with my chords and my words and saying to somebody else: 'What would you do with that?'. But The Earlies were great. They weren't precious and didn't tiptoe around me. [Christian] Madden would go [imitating a lancashire accent] "Raaaght Kenny, we're gonna chook a vibraphone on this" and I was like 'What's a vibraphone?' and then they hauled in this thing that looked like a plumber's mistake. And then, lo and behold, 'Wow! Does this thing really make that noise?'" Read Ryan Drever's full interview with King Creosote about the inception of KC Rules OK exclusively online tomorrow.